Vanessa couldn't rest. Amidst the familiar sounds of her house asleep, she could almost hear Jesus whispering those words He spoke to His disciples when Peter asked what they would receive for giving up everything to follow Him. The Lord's response settled Vanessa's heart. After all, it was a mutual passion for the Scriptures that had drawn her to her husband, Cesar. He was one of the best orthopedic surgeons in Venezuela, with training from both Harvard and Cornell—well regarded at both hospitals where he practiced and the university where he taught. His intelligence and reputation might have drawn others, but his love for the Word had sealed Vanessa to him. In Venezuela, such love blooms like the "Queen of the Night"—the rare, breathtaking Kadupul flower that opens its delicate, white petals only at night. Finding a man who treasured the Scriptures as she did assured Vanessa that Cesar was for her. They married in 2003 and made their home near family. Cesar continued practicing medicine and teaching; Vanessa owned a graphic design business. Although crime and poverty spread as communism reached deeper into the country, they hadn't been affected. They had a nice home, where they held a Bible study, and a good church. In 2008, they welcomed a baby. However, every year, they came to the States for a medical conference. Wherever the conference was held, they visited seminaries. One year, they fell in love with Dallas Theological Seminary (DTS). Soon after, Cesar told Vanessa he wanted to study at DTS. His words felt like a gut-punch. "Absolutely not!" Vanessa replied. "Our life is here!" But then the Lord brought Matthew 19 to mind. Vanessa knew she couldn't stand in the way. Two weeks later, they obtained study visas and said goodbye to their bewildered family. "When we landed in August 2010," Vanessa recalls, "Texas felt like an oven. I'd never experienced such heat!" For Vanessa, it felt like the beginning of hell. For Cesar, it was heaven. Everything about DTS amazed him! But Vanessa, overwhelmed by the new culture, felt completely alone as she struggled to raise their daughter. "I missed my work, family, friends, and home, even the weather and the food," Vanessa says. "I felt so alone. I took classes, joined Bible studies, but it wasn't enough. I wasn't happy. Why had God given all the joy to my husband and all the misery to me?" She didn't mention her sadness to Cesar; she couldn't bear to tarnish his happiness. During this time, Cesar returned to Venezuela every six weeks to work. After a week, he would come back with enough money to support their family. Then the democracy in Venezuela fell; a cruel dictator rose to power. The country became unrecognizable—overrun with crime, poverty, and sadness. Doctors who had made $500,000 a year now made $10,000. Cesar could no longer afford airfare. With only study visas, he and Vanessa also couldn't work here. Then one day, Vanessa found their bank account empty. She assumed Cesar had simply moved their funds to a new account. She asked him about it that evening. He dropped to his knees in tears. Desperate, he had trusted a broker and invested all their money. In only three days, every penny was gone. Vanessa says, "That day broke our world." She had another account with just enough money to survive for a year, but they were panicked. They couldn't go home; they couldn't stay if they couldn't afford the tuition. How could God have brought them here just to abandon them? Vanessa realized what she needed to do: get a work visa while Cesar continued at DTS. Clueless where to start, she turned to Google. Miraculously, within two months, she had what she needed. Next, she looked for a job. Again, miraculously, the Lord used the Internet to lead her to a job with an employer whose wife had family in Venezuela. To make ends meet, she simultaneously worked two other jobs and long 16-hour days. As the Lord provided, Vanessa began to understand: Years earlier, He had begun making the way for her, Cesar, and their now two children. From there, a connection at church led Vanessa to Insight for Living Ministries. Today, she's our senior digital artist/strategist at our international headquarters in Texas. 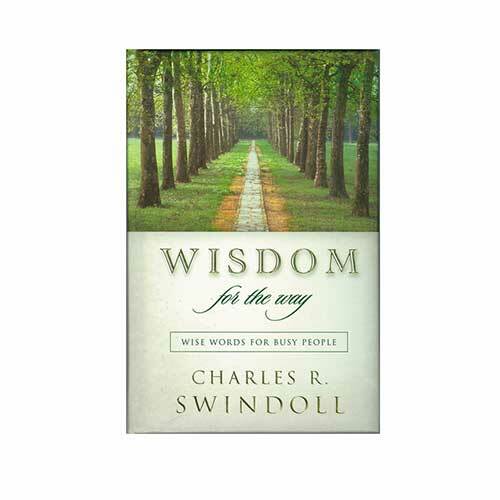 When she started, she had never heard of Chuck Swindoll nor our Spanish-language ministry, Visión Para Vivir. Then she heard the broadcast theme song and recognized it from the radio in Venezuela. She had often, unknowingly, listened to our Spanish-language broadcast on her commute! "The eyes of the LORD search the whole earth in order to strengthen those whose hearts are fully committed to him." Vanessa and Cesar pray for those still in Venezuela, where violence and abuses of power can only be conquered with the gospel. She says the people know about God. However, spirituality there is "very emotional." Studying the Scriptures is "very strange." 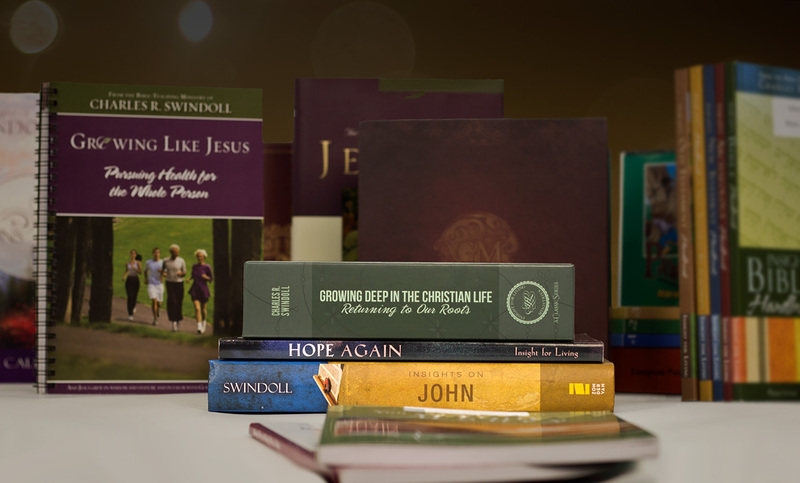 People need someone to teach them how to study and apply the Word so they can live with hope . . . and that's why Visión Para Vivir is so important. Visión Para Vivir began in 1987 out of Ecuador. Today, our Spanish-language broadcast can be heard in 22 countries, including Venezuela. Like Vanessa and Cesar, our Spanish-language pastor, Carlos Zazueta, says he never could have dreamed the Lord's path for him. Born in Culiacán, Sinaloa, Mexico, he eventually came to Dallas, Texas, where he graduated from Dallas Theological Seminary with a doctorate in ministry leadership. In 2010, he met his wife, Karla, on Insight for Living Ministries' Israel tour. He later asked her to marry him on a mission trip to Ecuador hosted by our ministry. In 2011, in a beautiful combination-of-cultures wedding, Chuck Swindoll married them at Stonebriar Community Church. Then, just a few months ago, they adopted a darling baby boy, Asher, in China. Like Vanessa and Cesar, Carlos and Karla are great examples of how "the eyes of the LORD search the whole earth in order to strengthen those whose hearts are fully committed to Him" (2 Chronicles 16:9). They certainly felt that truth when they were finally able to travel to China to pick up and hold their adopted son, Asher! God had searched the whole earth and had delightfully chosen Asher just for Carlos and Karla. Likewise, He has made the way for us! The Lord alone opened the doors that now swing wide for us to proclaim His Truth in Spanish. He alone can continue to expand Visión Para Vivir so that eventually, through modern technology, every Spanish-speaking individual on earth might receive the hope that comes from His Word. Many times, Carlos has said, "The most valuable lesson I have learned in ministry is that you can never be too small for God to use . . . only too big." The Lord knows His plan for His followers! He knows exactly how He will fulfill the Great Commission worldwide today, just as He did with those first eleven disciples. He knows the exact next steps our ministry needs to take in order to expand Vision 195 and the exact individuals who will join us in prayer and financial support. The Lord is searching the whole earth for those whose hearts are fully committed to Him . . . will you be ready when He calls YOU? 1. Reuters, "Venezuelans are starving amid economic crisis, food shortages," New York Post (February 22, 2018), https://nypost.com/2018/02/22/venezuelans-are-starving-amid-economic-crisis-food-shortages/ (accessed March 16, 2018). 2. Central Intelligence Agency, "The World Fact Book: South America: Venezuela," Central Intelligence Agency, https://www.cia.gov/library/publications/resources/the-world-factbook/geos/ve.html (accessed March 16, 2018).